Agave nectar (or syrup) is made from the agave plant and is commonly used by people with diabetes and others that are interested in health and nutrition as an alternative sweetener. The agave plant is indigenous to Mexico and comes in many varieties. The blue agave plant is what tequila is made from. The least manipulated commercial form of agave nectar is made from extracts of the Salmiana agave plant and processed with enzymes derived from the mold Aspergillus niger (a process "generally recognized as safe" by the FDA). Many people with diabetes use it because it has lower glycemic index (GI) compared to most sweeteners, ranking between 20 to 30, versus table sugar which has a GI of 60-65. The lower GI means that it should raise blood sugars at a slower pace. 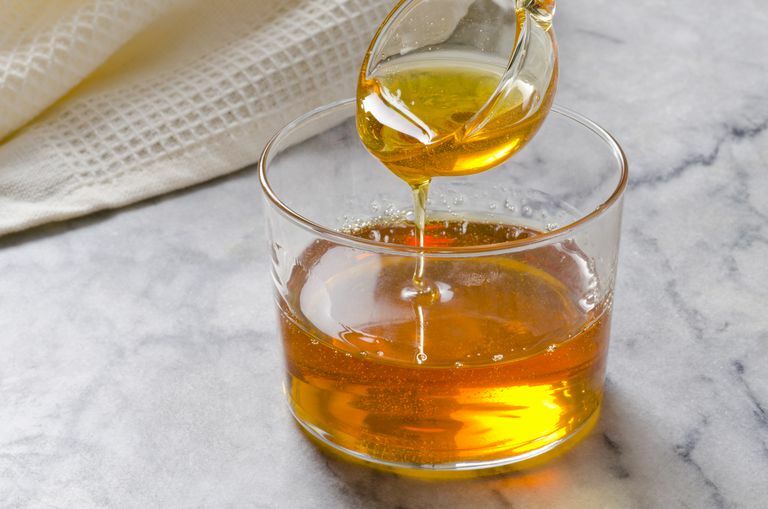 In addition to purchasing the syrup, you can find agave nectar, commonly used to sweeten beverages such as tea, or mixed into yogurt and hot cereal, like oatmeal. Agave nectar is 90 percent fructose as compared to table sugar, which is about 50 percent. When fructose is metabolized, most of it goes to the liver, instead of the bloodstream. Although it may not raise blood sugars as quickly, increased intake can elevate triglycerides, a type of fat in your blood that is associated with an increased risk of diabetes, metabolic syndrome, and heart disease. Therefore, if you already have high triglycerides or other risks of heart disease (which many people with type 2 diabetes do), it is probably wise to choose a different alternative sweetener. Also, if you are someone that likes to avoid high fructose corn syrup, you probably want to avoid agave syrup too, since it is almost 100% fructose. What&apos;s the Difference Betwen Fructose, High Fructose Corn Syrup, and Agave? Fructose, is a simple sugar (monosaccharide) that is naturally found in fruits and vegetables. It is known to have a low glycemic index. Naturally occuring fructose is not bad, however, when fructose is processed to make sweeteners such as high fructose corn syrup and agave nectar, it can become problematic, especially if it's consumed in excess amounts. High fructose corn syrup (HFCS), is about 55 percent fructose and 45 percent glucose, while agave syrup is about 70-90% fructose. High fructose corn syrup is derived from corn syrup, which is made from extracting corn kernels and treating them with an enzyme to make a thick, viscous syrup. High fructose corn syrup differs from corn syrup in that some of the glucose in it is converted to fructose enzymatically, making it sweeter, whereas corn syrup is 100 percent glucose. The reason that high fructose corn syrup gets such a bad wrap is that it is made up of fructose, a monosaccharide, that is sweeter than glucose and metabolized differently. Fructose is metabolized by the liver. When the liver gets overloaded, it turns fructose into fat. Some of the fat can get trapped in the liver, contributing to fatty liver. Excess amounts of high fructose corn syrup have been linked to fatty liver disease, insulin resistance, metabolic syndrome, obesity and type 2 diabetes, to name a few. Although, some researchers have found that these associations are based mostly on animal studies and that in the absense of excessive calorie intake, there isn't enough available evidence to draw conclusions regarding effects of fructose, HFCS, or sucrose consumption on fatty liver disease, specifically. Agave nectar is made by heating or hydrolyzing the juice of the plant. When making raw versions of nectar the heat is lower and longer than regular nectar or syrup. Some researchers believe that it is easy to eat too much fructose as it seems to bypass bodily satiety signals. This can lead to weight gain and the development of insulin resistance (which can cause blood sugars to increase and is a contributing risk factor for type 2 diabetes). Too much sugar, regardless the form, has been linked to a host of medical conditions, including obesity, pre-diabetes, metabolic syndrome, type 2 diabetes, heart disease, and cancer. Agave is about 1.5 times sweeter than table sugar, hence some people believe that using it helps them to decrease the amount of sweetener used and perhaps even cuts calories. When using sweeteners, one must always remember that additional calories can cause weight gain, which is an independent risk factor for diabetes and heart disease. One teaspoon of agave nectar contains 5 grams of carbohydrate and 20 calories. If you use 1 tablespoon (the equivalent of three teaspoons), you are consuming 60 calories and 15 grams of carbohydrate - the same amount of carbohydrate in one serving of fruit or one piece of bread, without the added benefits of fiber and vitamins and minerals. If you have diabetes and are looking to lose weight, it is best to remove all calories from sugar, including sugary beverages and condiments, like agave, table sugar, maple syrup. If you must use sweeteners, you may want to use sugar substitutes instead. Studies have shown that reducing intake of sugars (which lowers calorie intake and promotes weight loss) can improve blood sugar and weight control. Agave nectar isn't necessarily a better alternative to table sugar and other sweeteners. When it comes to weight and blood sugar control, all sugars should be taken into consideration. Weight loss can improve your blood sugars and lower your chance of heart disease. If you must use sweeteners, you may want to try alternative sweeteners that contain zero calories. If, on the other hand, you decide to use agave or other types of sweeteners, practice portion control. The American Heart Association recommends that men limit their daily intake of added sugars to 150 calories (about 37 grams), and women limit their daily intake of added sugars to about 100 calories per day (about 25 grams). Whether you are looking to lose weight, prevent disease or simply feel good, limiting all types of added sugars in the diet is important. Basciano H, Federico L, Adeli K. Fructose, Insulin Resistance and Metabolic Dislipidemia. Nutrition & Metabolism, 2005,2:5. Mayes, PA. Intermediary Metabolism of Fructose. American Journal of Clinical Nutrition. 1993,58(5S):754S-765S. Mock, K. et. al. High-fructose corn syrup-55 consumption alters hepatic lipid metabolism and promotes triglyceride accumulation. J Nutr Biochem. 2017 Jan;39:32-39. doi: 10.1016/j.jnutbio.2016.09.010. Epub 2016 Sep 30.